#Hannibalism! 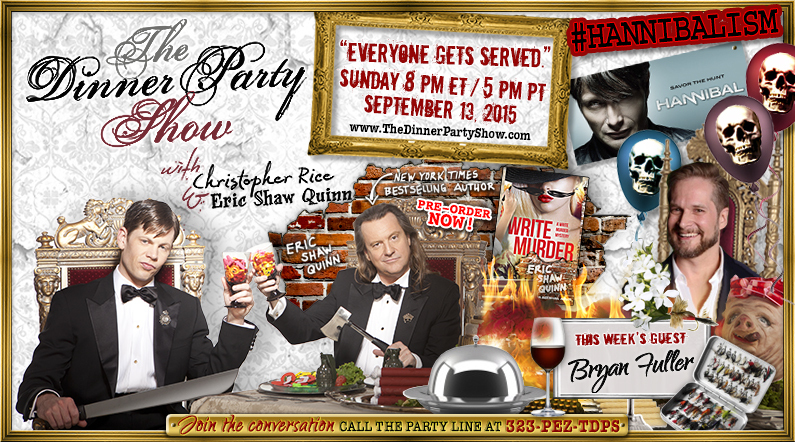 The ALL-NEW fourth season of “The Dinner Party Show” premieres with special guest Bryan Fuller (“Hannibal”). Critic-at-large Jordan Ampersand debuts his latest series, “Jordan Ampersand Investigates,” in an attempt to derail co-host Eric Shaw Quinn’s plans to publish his new novel “Write Murder.” Plus, Christopher and Eric catch up after the summer hiatus and offer their take on idiotic and exasperating events in the news.